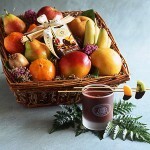 Take a peak at all Manhattan Fruitier has to offer and I am sure you will find something for everyone on your Valentine list, if not just something to send to yourself for a change. We love Chicago. We travel to Chicago at least once a year, usually in August, to take in the great American city at its peak. We love the summer festivals, Cubs games and everything the place has to offer. We also love checking out the great shops that populate the city’s many diverse neighborhoods. One shop we will seek out on our next visit is OMD. We recently came across OMD’s website and was charmed by its eclectic offerings. 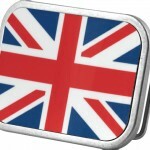 Of course as the anglophile we are – we love this Union Jack belt buckle. OMD also has a bunch of Che Guevara novelty items including a finger puppet. Now that is one funky store. See the OMD website here. We love Cost Plus World Market – a chain of stores in 30 states that sells a nice mix of things at value prices. Sadly, we do not live in one of those 30 states where the 250-plus stores are located, but once again we are saved by the internet. 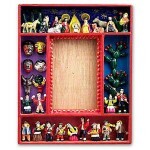 I like to browse around the Cost Plus World Market site because you never know what you are going to find. Recently I came across this wonderful frame that just spoke to me. I love it! Check out this and other cool things at Cost Plus World Market. 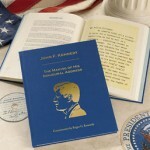 It has been 50 years since John F. Kennedy took the oath of office as President of the United States and began the 1,000 day administration, the “Camelot” era and the tragic ending. Find out more on the Levenger website. Explore all the great product Levenger offers. Art is subjective of course and we do love art. Although there is a ton of “art” out there that does not meet our taste, we love the idea that people are expressing themselves. We recently came across the work of Chris Buzelli, whose work is just so striking. We realize that his work is not going to be everybody’s taste, but Buzelli is one of those artists whose talent you have to admire even if you do not care for the work. We love the talent and the work. Buzelli’s website has a nice portfolio of his work and a shop where you can buy his works – originals and prints. Our “favourite” Brit, Sophie, has sent us a link to House Doctor, which appears to be a Danish purveyor of home goods. For the life of us, we can’t figure out if House Doctor is a site just for wholesalers, or if they any retail options. But what we do know is that they have a 130 page online catalog with some really cool items – all part of their “Everyday 2010” collection. See the 2010 House Doctor catalog here. One of the only good things about the early January post-holiday lull is the fact that just about everything goes on sale. The best sales, of course, are on all of the Christmas-themed items that are still hanging around. 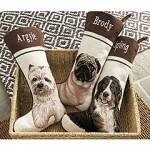 The folks at Ballard Designs has a bunch of cool things on sale, but these fun Dog Breed Needlepoint Stockings caught my eye. I wish I saw these before Christmas – a Yorkie version with one or all of Sophie’s “babies’” names monogrammed on it would have been the perfect gift for her. I happen to think that these may actually make a nice year-round gift. The colors are not all that Christmassy and what dog doesn’t like to play with socks? Come to think of it one of Sophie’s Yorkies, the little scamp named Harry, loves to steal socks and run away with them. OK, the perfect Christmas gift may just be the perfect birthday gift! 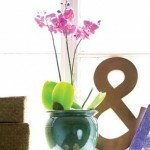 See all the cool stuff Ballard Designs offer here. When I was a kid my brother was really into comic books. Dude, seriously, really into them. I was not. 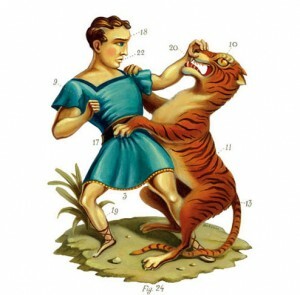 Although I did like Classic Illustrated a series of comics that illustrated the great books of fiction. As I kid I loved all the books like “Treasure Island” and “The Last of the Mohicans” and Classic Illustrated comics brought them to life. So I was really happy to find Masterpiece Comics recently on the great website Drawn and Quarterly. 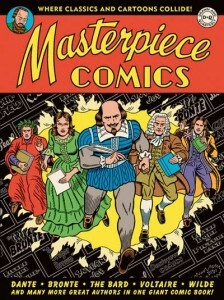 Masterpiece Comics is a graphic book that brings classics of literature alive once more – with a bit of a twist. You can read more about Masterpiece Comics and checkout a preview on Drawn and Quarterly. While you are there, click around the site. You may find yourself interested in reading more about that graphic novel craze that seems to have no ebb. Drawn and Quarterly is based in Montreal where they have a retail shop. I have already put this place on my “must visit” list when I am up there next. Anyway, you can find Masterpiece Comics at other retailers like Amazon, along with many other modern graphic novels – some very dark and serious like the fabulous “New Orleans: After the Deluge” by Josh Neufeld. Definitely not my brother’s comic books. Visit Drawn and Quarterly here. Lost Cowboy is powered by	WordPress 5.0.4 and delivered to you in 1.077 seconds using 68 queries.